I was recently talking with a girl recently who is struggling with some serious stomach and constipation issues. 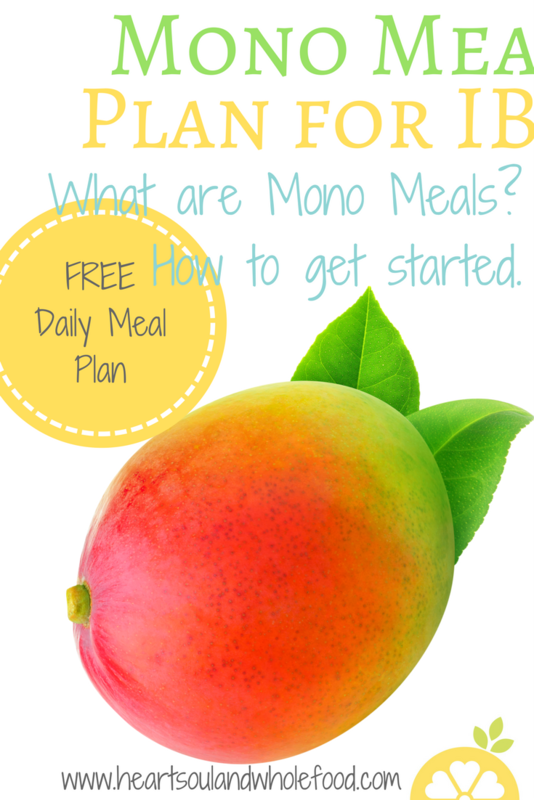 I recommended this mono meals plan as a temporary diet change. Whether or not you think you need to make a drastic leap into this completely new way of eating or if you’re just looking for a cleanse, I’m here to give you some food for thought. I was introduced to mono meals by the beautiful, amazing, Hawaiian based, earthyandy. She is a gluten free vegan who suffered with some serious tummy issues. I highly suggest following her if you want daily inspiration and a strong desire to move to an island ASAP. -Each food we eat digests differently. -This can really cause a “funk” in our stomachs when we eat a bunch of different foods together. -The solution? Choose one food at a time to eat! Makes sense, doesn’t it? To help give our digestive system a break, give it just one thing to digest at a time! We can all relate to this; when we try to multitask we can often wind up overloaded and ultimately crash by the middle of the day. Our brains and bodies just can’t keep up with all the things we want to or have to do. The idea behind mono meals goes back to the caveman days, when humans were forced to hunt for their food. They didn’t have a super market with rows and rows of different kinds of products. Instead, people were required to wander in search of their next meal. If they should stumble upon a strawberry bush, chances are there wasn’t also a heaping side of mashed potatoes and gravy to go along with it. (Which just sounds like a terrible combo anyway.) So what did they do? They filled up on berries! Most likely eating every single berry on the bush before moving on in search of the next meal. This can be a huge God send for those suffering with irritable bowel syndrome. Having a leaky gut can cause so many problems in your body. So much so that it can actually effect your moods by causing depression. If you feel like you may be backed up, or even if you just had a weekend filled with binge eating and need to get rid of your bloated belly, I would definitely give mono meals a try. Does this mean only a plate full of garlic mashed potatoes for dinner? Just bacon for breakfast? While that may sound enticing, that’s not really the message I’m trying to get across here. Just as the good ‘ol cave-ancestors of ours did, eating mono meals means sticking to raw fruits and vegetables. They are the easiest things for our stomachs to take on and the natural fiber content should help move things along. To kick start this diet, the best way to go start is right away in the morning! If you are having serious troubles, I recommend starting with a blended smoothie of one type of fruit. This could be a blender filled with mangos, bananas or strawberries blended with water and some ice. Blending the food up will make the digesting process even easier for your body. This is especially important to remember if this is a chronic condition. Be as gentle on your body as possible. Just remember; pick one food at a time. Make sure you are generous with your portions too. Trying to survive a busy work day on one banana is going to leave you irritable, burnt out and starving before noon. Starting with 3 bananas in the morning would be a great start. The important thing to remember is to eat until you feel satisfied. Breakfast is also a great time to get in your watermelon (or other melons.) Because they digest differently, it is best to eat melons by themselves and on an empty stomach. If you’re hungry, you may eat an entire melon in one sitting! And that’s ok! Don’t over-indulge, just make sure you have fueled up enough to get you through the next few hours. Make sure you’ve given breakfast 2-3 hours to digest before you dig in for more. Snacking could easily be an apple, banana, bowl of berries or cucumber. There is really no wrong way to go with this. You may not feel the desire to completely fill up on just a snack, but make sure your cravings are satisfied! Lunch could easily be snacking on baby carrots at your desk. An entire Costco sized bag? Sure! Baby carrots can be a great way to feed your desire to mindlessly eat. I know changing eating habits can make me way more aware of how much I wish I had a bag of chips sitting next to me. That constant grabbing and snacking on a crunchy carrot can help distract you from any feelings that might be telling you you can’t do this. Again, if you’re planning a snack, make sure you’re giving your body a grace period and allowing to work through lunch for at least 2 hours. Dinners should always be our lightest meal of the day anyway, because we really don’t need to fuel up our bods when we’re going to be hitting the sheets for some Z’s. This would be a good time to sit down with some cucumber, apples or peppers. At dinner, I know I personally feel a strong desire to eat hearty, home cooked foods and a peach or plum just won’t give me that feeling. If you start feeling the urge to snack at night, try to do it at least 2 hours before bed. Give your body a chance to work through the food you give it. If your stomach has been handing all the other foods well throughout your day, this might be a good time to reach for some frozen berries. Frozen berries can be a good dessert to finish off our day because they are cold and sweet and surprisingly satisfying. Especially if you’re used to getting a scoop of ice cream before bed, the chilly fruit may just help you feel like you got the frozen treat your body is used to. Diets can often feel so overwhelming. Cleanses sound scary and impossible sometimes. Taking the time to do a mono meals cleanse could be your best option if you’re looking for something to refresh Your system. It is so simple, the benefits make so much sense and yet, you are still able to eat. You are encouraged to feel satisfied and you still get to chew your food. Which is a benefit shake diets or juice cleanses don’t offer. We all have our moments of weakness, and our food struggles that lead to problems that feel bigger than we are sometimes. Don’t get discouraged when the solution could really be as simple as this! Check out these similar articles. Sounds good. Do you eat one thing for each meal, or one thing, wait an hour, eat another thing, etc.? If so, how long should you wait between each thing, and how much? I was just thinking I should take the time to explain more in depth. I will update later!